Think about the word “trading”. It might conjure up images of suited professionals shouting over each other at the stock exchange. 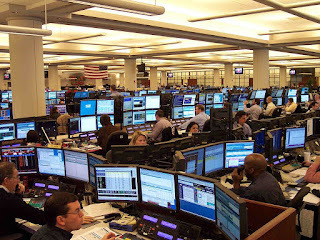 True, this chaotic working environment is a part of stock trading. However, a lot of people just like you manage to turn a good profit from trading part-time. If you’re interested in starting to trade, then here are some valuable tips. My first tip is to stick to being a swing trader. These are traders who hold onto stocks for a certain period, depending on the conditions of the market concerned. You could purchase some stock, and hold onto it for a few days or perhaps several months. There are all kinds of different trading strategies out there. However, this particular one is well-suited to a part time trader. Your goal in swing trading is to identify, and then jump on, a trending stock’s “sweet spot”. Through this strategy, the precise entry and exit of the stock isn’t your concern as much as with other tactics. With swing trading, you only have to act at certain times. There’s no need to stay up all night watching round-the-clock developments. Next, research and develop a few “go-to” strategies. You might have heard that it’s a big mistake to become too rigid with your strategies. This can be true if trading is your main source of income, but when you’re only trading part-time it’s best to keep things simple. Start with a stable of three or four trading strategies. Make sure to do your homework and understand these strategies thoroughly before using them in your trading. I understand how exciting it can be to get into the world of trading. However, getting ahead of yourself will usually lead to losses. Concentrate on a small group of strategies, and get enough experience to understand them properly. Practical experience isn’t the only secret to success, which brings me onto my final point. Don’t neglect the information that’s available to you. 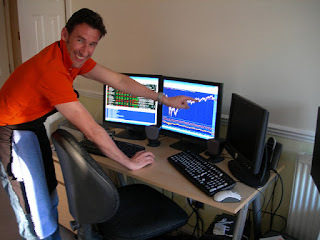 There are countless online resources which can help out a part-time trader. Just check out this feature on the Dow Jones futures. With so much detailed information being published freely, it would be a big mistake not to touch these resources. Don’t take it all blindly though. There are countless sites out there claiming to have valuable information on stock trading. While there’s going to be some truth in all of it, a lot of these sites can be misleading. If you can, talk to someone you know personally about their trading experience. Failing that, go looking for some high-authority books. After a while, you’ll get a feel for the info that can be trusted and the info that can’t. Starting to trade stocks part time may sound a bit daunting. Follow these tips, and you’ll certainly find the process much simpler than you’re expecting. Here’s my last piece of advice: don’t anticipate it to go perfectly! Even the most respected traders out there have made losses in their careers. Learn from your mistakes, and you’ll be fine.